Four decades after the hysteria of Beatlemania, this tribute to the Beatles will transport any audience back into the swinging sixties, creating the ultimate feel good factor. Now firmly established as one of the finest Beatles tribute bands around, they have been performing at top venues throughout the UK, Europe, and the Far East, rapidly building up a huge reputation and following. From the black and white days of the Cavern to the colourful days of Sergeant Pepper - this band is the only choice. For the more intimate venue, we offer a Lennon & McCartney show. Musically, no detail is overlooked to re-create the true sound and excitement of The Beatles, with every song performed totally live and in its original key. 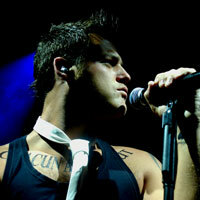 It comprises live vocals and guitars enhanced with a drum and keyboards backing track. Easier on the budget, it's an ideal alternative to the complete band. 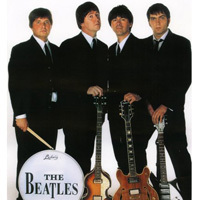 Truly The Beatles Tribute Show takes you back in time to the smoky cellars of The Cavern and gives you a taste of the atmosphere that surrounded the early 60s. It takes you on a trip through the early days of The Beatles, all the way to the days that saw the band struggle to stay together. 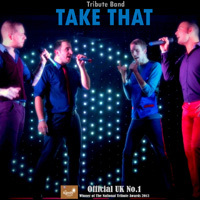 It features their performances on various shows they did around the globe. 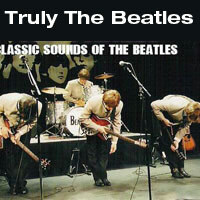 Every section of The Beatles career is covered in this spectacular show that features hit after hit of The Beatles most loved and treasured songs throughout the years. Authentic vocals and instruments, including the McCartney Hofner violin bass, Lennon's Rickenbacker, George's Gretsch and Ringo's Ludwig kit, complete the perfect tribute. 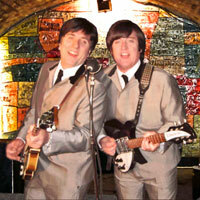 If you are looking for a professional, high-quality Beatles tribute band - then look no further!. 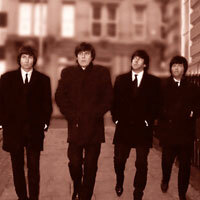 These are one of the UK's premier, fully-professional Beatles tribute bands, who have a worldwide reputation and experience in performing a superb Beatles tribute show. The aim of a good Beatles tribute band is to not only recreate the on-stage look, but also to accurately capture the music, vocals, harmonies and energy of the originals... that's why this band have received the supreme accolade from one of their idols and a man who was part of the Merseybeat pop revolution - GERRY MARSDEN who said "WEREN'T THEY GREAT - THEY SOUNDED JUST LIKE THE BOYS!" This Beatles Tribute Band were formed in 2002 to celebrate the music and career of the greatest rock 'n' roll band of all time. Since then 'The Fabulous Beatles' have gone from strength to strength, playing sellout concerts, parties and festivals at home and abroad. They enjoy the growing reputation of being one of The Top Tributes to The Beatles in the U.K. 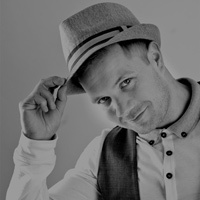 They offer a customer tailored show including the fantastic hits from the early swinging 60s plus many of the amazing album tracks and singles recorded throughout the Beatle years. A perfect night for all age groups. A nostalgic, foot-tapping, guaranteed good sing-a-long. No detail has been overlooked, no expense spared! the guitars, amplifiers, drums and costume changes are authentic to John, Paul, George & Ringo. 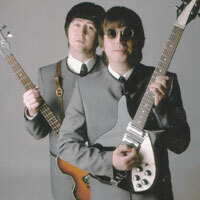 This is tribute duo to the fantastic Beatles. The duo cover a large repetoire of Beatle hits dating back to their first UK single Love me Do, through the 60's of wonderful singles and album tracks to the colourful Sgt Pepper album and blistering ballads like Hey Jude. 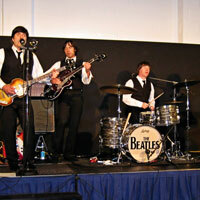 Authentic outfits worn and instruments played to enhance a fantastic night of sing-a-long Beatles tunes. 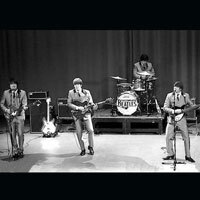 Professional backing tracks, played and recorded by The Fabulous Beatles tribute band, are used to enhance the missing parts played by George and Ringo and create a four piece rocking band sound. This duo is ideal for smaller and intimate gigs.